Lisa Marie Maxson is the founder and managing partner of 10x People, a company that specializes in software development of products and services as well as training in10x methodology. 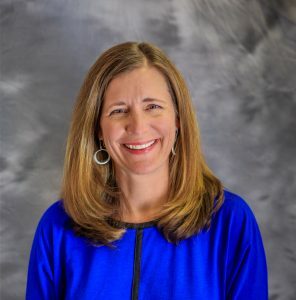 Since graduating from the University of Kentucky in 1989, Maxson has positioned herself at the forefront of software development for telecommunications systems and created a work culture that is able to market itself as a unique competitive edge. Although Maxson loved math and science, she was unsure about her career options until she began working with computers as a part-time employee at Cabletek. That experience, coupled with computer science classes taught by Professor Tony Baxter, laid the foundation for a career anchored in computer science. During her time at UK, Maxson spent three semesters as a student in the cooperative education program and received the Cooperative Education Student of the Year Award. After graduation, Maxson discovered that her skills and experience with new forms of technology made her a highly attractive candidate for top technology positions. She joined IBM, where she was part of a team that supported and deployed not only IBM based systems, but also the hardware and software of non-IBM companies. When the Telecommunications Act of 1996 was passed, Maxson seized the opportunity afforded by deregulation and formed Telecom Software. The company became a key player in phone number portability and Maxson’s original industry interface specification is still in use today. Seeking to create a more flexible work environment, her first four employees were new mothers who worked from home. Her success with this model continues to shape her philosophy for workplace culture. In 2004, Maxson founded Transydian, which provided custom software development of telecommunications systems, including 800 number routing, settlement of roaming charges, number portability and more. Eighty percent of all production systems to date utilize Transydian software for communication of ported number routing data. In 2013, Maxson spun Transydian into 10x People, which provides software development framework and test tools products that support continuous repeatable automated testing. Among Maxson’s impressive accomplishments, she has created a workplace culture that she says is the “secret sauce” to 10x People’s success. A creative environment that offers not only flexibility and engaging work, 10x People promotes constant learning, teamwork, cross-training and, above all, fun. Several 10x People employees have been with Maxson for well over a decade. Currently, 60 percent of 10x People’s employees are women and Maxson ardently champions women excelling in the telecommunications industry. Through 10x People, Maxson works with local schools to expose girls to new technologies. She also provides 10x People employees with time off and financial contributions to support their charitable interests. Maxson is on the board of directors of the Epilepsy Foundation of Colorado and has implemented the 10x People philosophy at the foundation. Maxson lives in Denver, Colo., with her husband, John. They have one son and one daughter.